In a study of the genetic structure and population dynamics of a unique breed of cattle that is indigenous to Southeastern Europe, LMU researchers have discovered a remarkable degree of genetic variation. 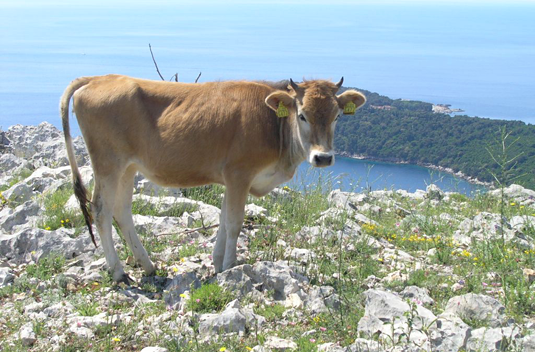 In collaboration with colleagues in Southeastern Europe, Medugorac analyzed DNA samples from 1828 cattle representing 60 different European breeds and strains. The samples obtained from 350 Buša cattle from seven Balkan countries were subjected to genome-wide genotyping for single-nucleotide polymorphisms, and found to represent 14 distinct strains, which together comprise a single metapopulation. Indeed, the genetic analyses revealed that Buša cattle account for a significant proportion of the neutral (non-selected) genetic diversity found within the species Bos taurus woldwide. “Buša cattle are unique. They have undergone very little artificial selection and are therefore very valuable for sustainable breeding programs. Their conservation is of great significance for efforts to maintain the global genetic and functional diversity of cattle,” says Ivica Medugorac. The study is part of the SAVE Foundation’s BushaLive project, which is supported by the Food and Agricultural Organization, an agency of the United Nations.